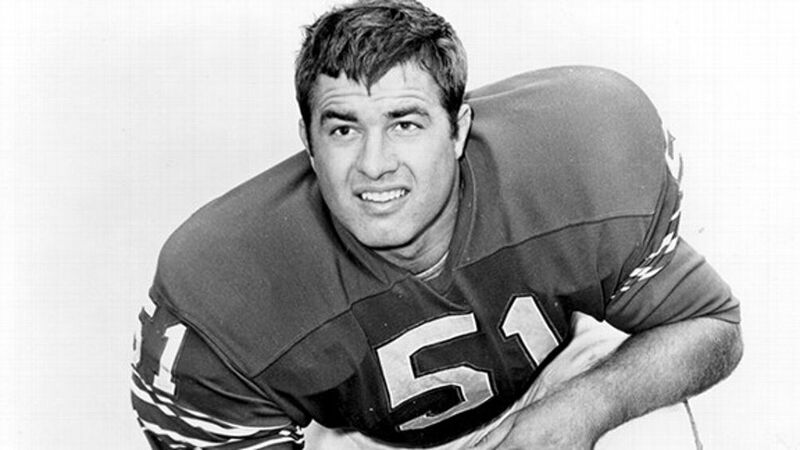 From Wikipedia, the free encyclopedia James Robert “Bob” Kalsu (April 13, 1945 – July 21, 1970) was an All-American tackle at the University of Oklahoma and an eighth-round draft pick by the Buffalo Bills of the American Football League in 1968.Kalsu was a starting guard in 1968. He played the entire season and was the Bills’ team rookie-of-the-year. 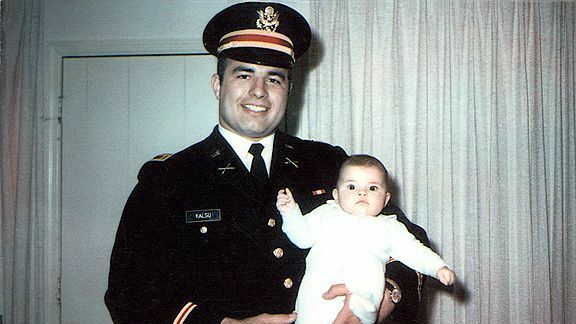 Following the 1968 season, to satisfy his Reserve Officers’ Training Corps (ROTC) obligation, he entered the Army as a Second Lieutenant and arrived in Vietnam in November 1969 as part of the 101st Airborne Division. He was killed in action on July 21, 1970 when his unit came under enemy mortar fire at FSB Ripcord near the A Shau Valley. His family, out of respect, refused to talk in detail about the circumstances surrounding his death.Lieutenant Kalsu had one child, a daughter named Jill. At home in Oklahoma City, his wife, Jan Kalsu, gave birth to his son, James Robert Kalsu Jr., on July 23. Mrs. Kalsu was informed of her husband’s death only hours later. 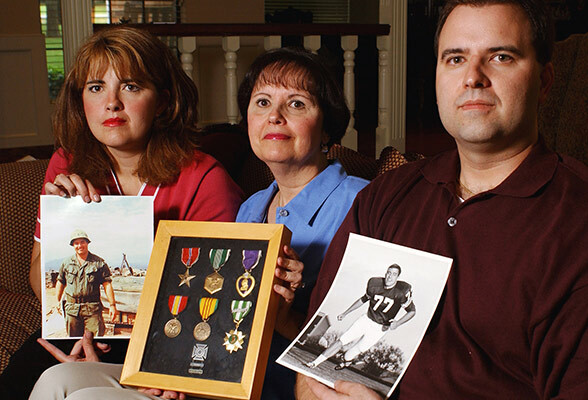 Kalsu was the only recently active professional football player to lose his life in the Vietnam War.HonorsFOB Kalsu in Babil, Iraq, was named after him.In 1999, NFL Films produced a feature on Kalsu that was nominated for an Emmy Award.In 2000, the Buffalo Bills added Kalsu’s name to the Buffalo Bills Wall of Fame.In 2002, the replacement company at Fort Campbell was named in honor of him – 1LT J. Robert Kalsu Replacement Company.Del City High School‘s football stadium bears his name.There is a CrossFit Work Out of the Day (WOD) named in his honor. From Buffalo Rumblings, a Buffalo Bills communityJuly 21, 1970: Bob Kalsu killed in VietnamBy Matt Warren on Jul 21, 8:22a At around 5:00 PM on July 21, 1970, forty years ago today, Buffalo Bills offensive lineman Bob Kalsu was killed on a hill in Vietnam when a mortar struck his camp as he was reading a letter from his wife, telling him July 21 was her due date.A cloud of tear gas had settled over Kalsu’s base from a previous mortar attack, in a move designed to get Americans out in the open. In the sweltering heat and humidity, you could stay in your fortified bunker with a rubber gas mask on, or go outside for a breath of fresh air. The unit’s commanding officer was choppered out to have a piece of shrapnel removed from his neck, and Kalsu was made acting commanding officer. Pfc. Nick Fotias served with Kalsu at Firebase Ripchord, and shared this recollection with Sports Illustrated in 2001.”I remember this tremendous noise,” he says, “and darkness. And being blown off my feet and flying through the door of the bunker and landing at the bottom of the steps, six feet down, and this tremendous weight crushing me. I couldn’t see. I couldn’t hear. I had dirt in my eyes, and my eyes were tearing. I rubbed them, and then I could see again. I pushed off this weight that was on top of me, and I realized it was Bob.”When he was drafted by the Bills in eighth round of the 1968 AFL Draft from the University of Oklahoma, he was away on his honeymoon. At OU, Kalsu had been in the ROTC, and other teams were leery of his military commitment in the middle of the Vietnam conflict. But upon graduation, he was not called up to active duty, and joined the team for the 1968 season with his wife, Jan, already six months pregnant.He worked his way into the lineup and was named the team’s rookie of the year when right guard Joe O’Donnell was injured. He started nine games, and Bills Hall of Fame guard Billy Shaw kept a careful eye on the rookie. Shaw wasn’t worried about Kalsu slacking off, partying, or not taking his job seriously, though. Those weren’t things Kalsu was ever accused of. He was watching Kalsu because the 29-year-old Shaw thought Kalsu was going to take his job. Shaw had this to say about Kalsu’s rookie season.”Bob had a lot of talent. He had real good feet, and he was strong, good on sweeps. In those days we had only one backup, and he was Joe’s and my backup. Our forte was foot speed, and Bob was right there with us. He really fit in with how we played, with a lot of running, a lot of sweeps, a lot of traps.”When many NFL players were joining the reserves, Kalsu’s family urged him to follow suit. The steadfast Kalsu would have none of it. “I gave ’em my word,” Kalsu said, referring to his promise, on joining ROTC, to serve on active duty. “I’m gonna do it.”In 1969, he was called to active duty, and in September of 1969, when the Bills were starting 1-2 on their way to a 4-10 finish, Kalsu got his marching orders to Southeast Asia. He was gone before Thanksgiving, and only after he left did his wife find out she was pregnant again.One of the 600 mortar rounds a day flung at Firebase Ripchord made a gushing wound in the back of Kalsu’s head. He never stood a chance.A day and a half later, in the first hour of July 23, Jan Kalsu gave birth to a son, named Robert after his unknowingly deceased father. That afternoon, with relatives gathered at the family home about to head to the hospital, a knock came on the door. The family was stunned to see a uniformed Army officer. Later, at the hospital, Jan changed the young boy’s name from Robert Todd Kalsu to James Robert Kalsu, Jr.According to Bob’s friend Jim Peterman, the Bills keep in contact with Kalsu’s widow, Jan. In 1978, the team gave the Pro Football Hall of Fame a plaque to commemorate Kalsu’s sacrifice. Thirty years after Kalsu died half a world away, the team added his name to the Wall of Fame at Ralph Wilson Stadium.In May 2003, Forward Operating Base Kalsu was established in Iraq in Bob Kalsu’s honor by Buffalo-based 1052nd Military Police Company National Guard unit.